Twisted Gold's version of the Beatles Sgt. Pepper's Lonely Hearts Club Band photo. 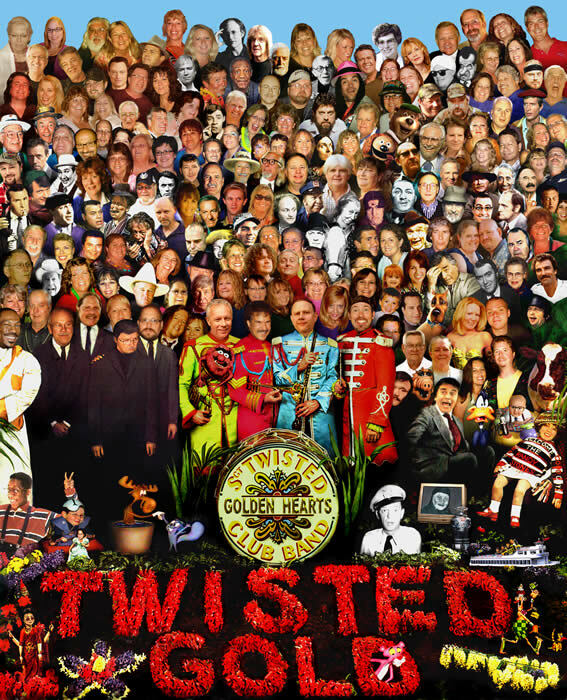 Twisted Gold friends & favorite people in the Twisted Golden Hearts Club Band.